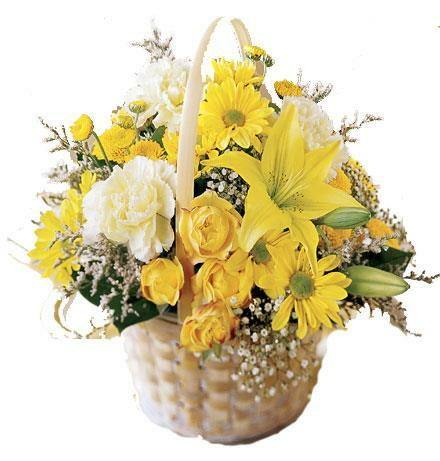 This lovely basket combines a yellow lily, yellow spray roses, yellow daisies and other bright sunshiny blossoms. 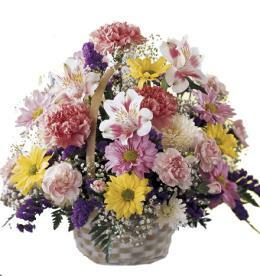 Florist Notes: Sugggest you enhance your gift with a box of chocolates, a stuffed teddy bear, and/or some themed mylar helium balloons. 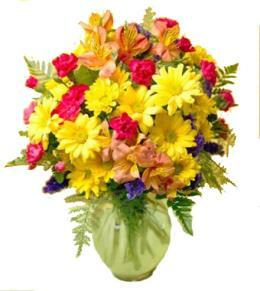 You may also order a large full card. 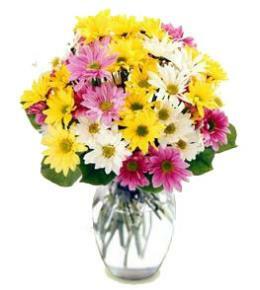 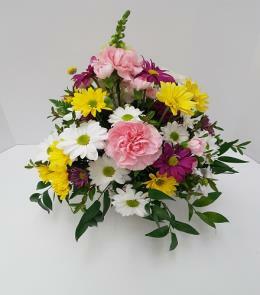 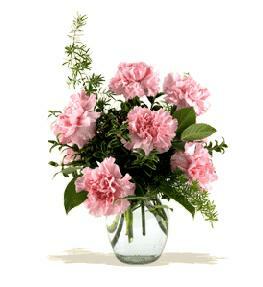 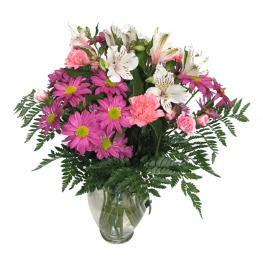 Arrangement Details: These flowers are readily available for same day delivery almosy anywhere in US and Canada.